The third race of SLOW’s 2016-17 Night-O series was held on Ham Lands on Tuesday 22 November 2017. Scott Collier won the event overall with Sue Carter again the first lady home. Series results after three events are now available here. I have been interested in Ham Common Wood ever since the last night O in Ham 3 years ago, that gave us a fleeting glimpse of western edge. However my initial recce in early January found that the (14 year old) map required a fair number of updates to be usable, particularly with regard to new paths that had appeared and old ones that were no longer in existence. Frustratingly a number of interesting looking areas of woodland were not practical to use due to bramble cover. I was pleased with how smoothly things went on the night, with the obviously exception of control 164. I put it out in daylight and I did not consider it at risk of being interfered with. Alas, a member of the public did find it and decided to bury it under a pile of leaves! Well done to Alice (aged 7) for finding it again. 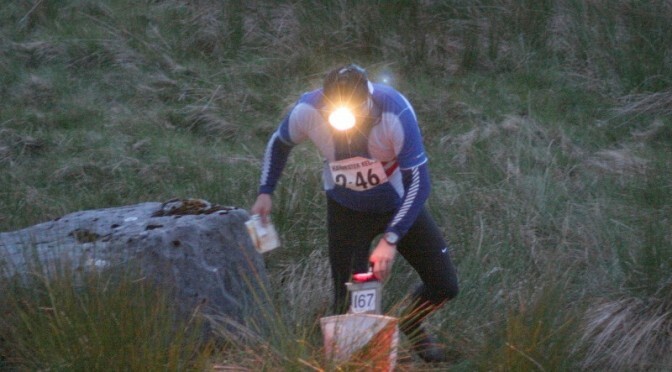 A number of competitors wasted time searching for the control before it was recovered, so the only fair course of action was to void the control and take the adjoining legs out of the overall times. Many thanks to Vicky, Don, Richard, Matt and Andy for helping on the night and especially Pete for volunteering to collect controls from the riverside area.